Did your car break down for the 5th time this month? Maybe it's time to get a few things checked out! One huge worry that people have when their car breaks down is getting overcharged for minimal work; that is one thing we will never let happen. 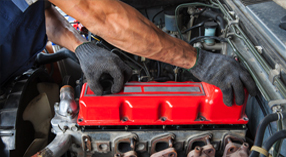 We have highly trained technicians who work quickly and efficiently to ensure that your car problems are taken care of and as a cost-effective rate. Our repair shop has a comfortable waiting room for you to sit while we are taking care of your car's problems. We also have a night drop off where you can leave the car after hours. We take appointments and walk-ins 5 days a week and we do our best top get any needed parts within 48 hours so we can get you back on the road as soon as possible. If you are stuck on the side of the road and need towing prior to your repairs, we are available 24 hours a day, 7 days a week, for your convenience! We have preventative maintenance programs so we can get your car working quickly and at an affordable rate. We are not your average maintenance shop; we pride ourselves on our professionalism and our skilled and knowledgeable technicians. 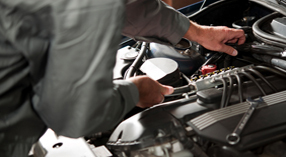 We do some of the best work in southwest Florida and are ready to help you when your car problems arise.